Day 1: Fly from Heathrow to Cairo. Transfer to your chosen hotel for a stay of 3 nights. Days 2-3: Opportunity to explore the fascinating sights of Cairo and time to absorb this bustling and vibrant city. 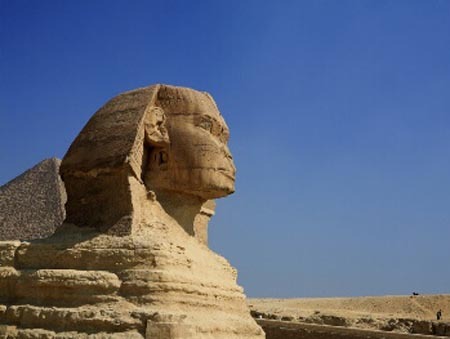 Take advantage of our optional excursions as a visit to Cairo would not be complete without a trip to see the Great Pyramids and the Sphinx at Giza plus a visit to the Egyptian Museum to see the treasures of Tutankhamen. Day 4: Transfer by road approx 90 mins to El Sokhna for a stay of 3 nights. Days 5-6: Time to relax and enjoy the many facilities that this fantastic hotel has to offer. Whether it's sunbathing or snorkelling you will find something to do in this beautiful resort. Day 7: Transfer to Cairo by road for the return flight to UK. We have put together our most popular combination but it is possible to combine any of our featured hotels in Cairo with the Movenpick Resort El Sokhna. Call us for a quote on your perfect holiday. Mövenpick Resort El Sokhna is set in a beautiful location of white sandy beaches and warm Red Sea waters against a backdrop of desert and mountains. This fantastic resort offers an array of leisure facilities including a large swimming pool and a health and fitness centre where you can work out at the gym or indulge in a relaxing massage or sauna. The restaurants and bars offer everything from international buffets to grilled seafood. Mövenpick Resort El Sokhna is the perfect choice for those seeking a relaxing Red Sea holiday with easy access to the sights Cairo. Located about 46 km south of Suez and only 90 minutes drive from Cairo, El Sokhna is an idyllic Red Sea holiday destination. The guest rooms and suites reflect the simplicity and tranquillity of the resort's surroundings. Each room is decorated in soothing white with modern furnishings, and offer the comfort and elegance expected from a Mövenpick Resort. All rooms feature:Air-conditioning, Satellite TV, Mini-bar, Coffee/tea making facilities and Hair-dryer. El Gezirah Restaurant - An Open kitchen and bar, serving freshly grilled seafood, al fresco dining, individual à la carte dishes and platters for sharing. Le Gourmet - Cafe serving Movenpick Ice Cream, homemade pastries and cakes. Lobby Lounge - A great meeting place at the centre of the hotel. Zen Lounge - A stylish Asian-inspired lounge with beautiful views across the landscaped gardens and the Red Sea. Prices are per person based on two people sharing a twin room departing from London Heathrow and includes all transfers and 6 nights accommodation staying at the Movenpick Cairo Pyramids (3nts) and the Movenpick Resort El Sokhna (3nts) and daily breakfast. You can combine any of our featured hotels in Cairo with the Movenpick Resort El Sokhna. Other durations are available from 3 nights. For a quotation please call or e-mail us.